Travertine is a natural stone with unique patterns that has been used for thousands of years. The natural state of the stone allows it to withstand all kinds of weather conditions. It is frequently used for exterior and interior applications including flooring. Travertine gives an earthy and natural appearance to your residential and commercial projects. Small, natural holes on the material will help you distinguish this stone. 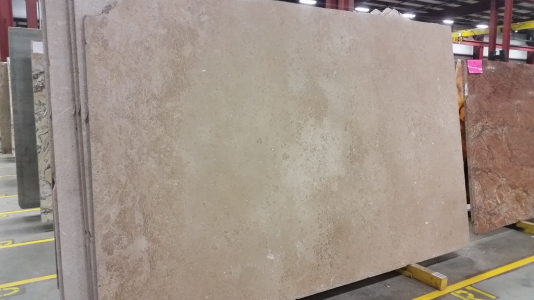 At Cosmos Greensboro, NC, we are always updating our travertine selection. Take a look at some of these currently in stock.